A while ago these pretty package landed on the Fashionwise HQ desk. 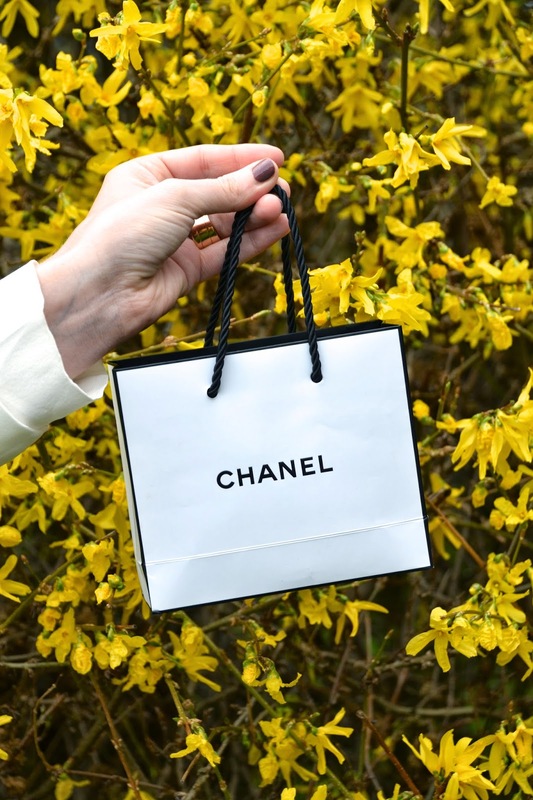 You instantly feel the love coming up once you open up a Chanel gift box :-) . The colors are so pretty and there's a color for everyone's liking. The lipsticks are really pigmented and slide on with ease . 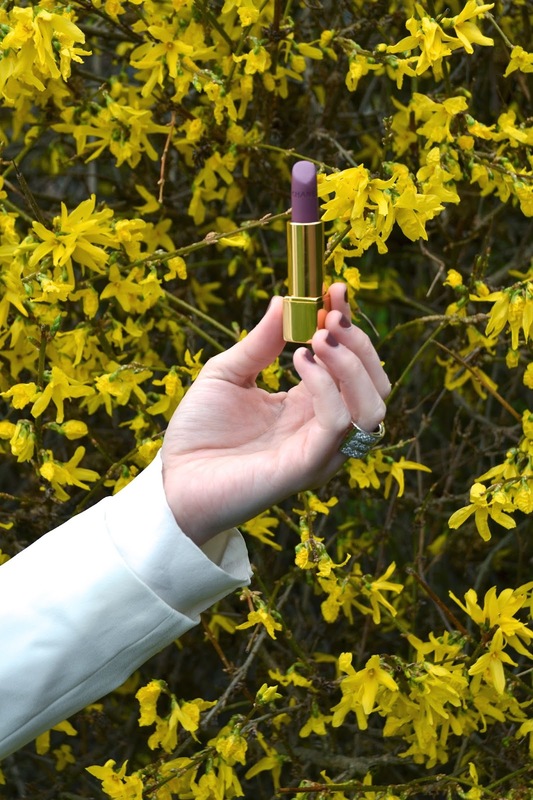 The pretty pink color has a shine to it once applied on the lips & the dark plum color is a matte lipstick. Although the last one is matte, you don't feel as if it dries out your lips (which is very rare for matte lipsticks) . The compact powder is very light but it suits me perfectly. I use it for my T-Zone and I only need to touch it up 2 a day for it to stay matte. For the look I created , I used the duo eyeshadow quad on my eyelids . I used the pink shade all over my lid & the darker shade in my crease and outer corner. I used the plum colored lipstick and went for the matte effect so I didn't use any gloss on top of it. 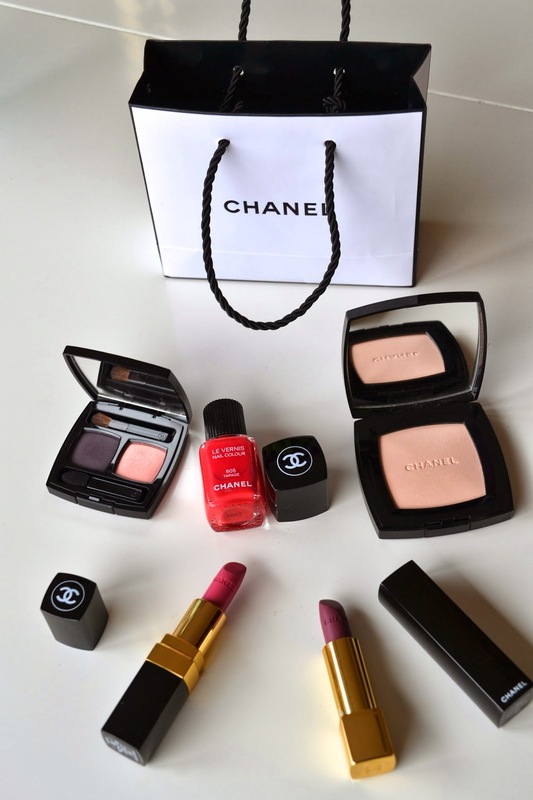 I powdered my T-zone with the Poudre Universelle and I used the Chanel 72 Rose Initiale as blush (older collection) . What's your favorite product of the collection?